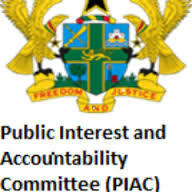 The fear of the “partisan political” tag is creating a great challenge to the operations of the Public Interest Accountability Committee (PIAC), says Dr Steve Manteaw, a member of the Committee. PIAC is a citizens-led statutory body established under section 51 of the Petroleum Revenue Management Act (Act 815) to provide additional non-parliamentary and independent oversight over the collection and utilization of Ghana’s petroleum revenues. Dr Manteaw, a policy analyst told journalists attending a 14-day training course on oil, gas and mining that government interference has obstructed the activities of the Committee. He said between 2011 and 2015, revenue generated from the oil sector stood 3.2 billion dollars but a huge chunk – almost 70 percent of the revenue, was spent in the education sector. Dr Manteaw, who is the campaign coordinator of the Integrated Social Development Center (ISODEC), a non-governmental organization, said PIAC has undertaken a national exercise and monitored the utilization of the oil revenue in some of the regions. “The Committee has officially written to the Ministry of Petroleum to respond to some of the findings but about three months now the sector minister has not responded”, he said. Dr Manteaw, who is also the Chairman of the Civil Society Platform, said substantial governance gaps remained in the country’s oil and gas industry saying the lack of integration of the sector into the rest of the economy is a teething challenge. Mr Ishmael Edjekumhene, the Executive Director of the Kumasi Institute of Technology and Environment, a non-governmental organization and member of PIAC, said the responsibility to ensure the judicious utilization of the oil revenue was not a sole duty of PIAC alone. He appealed to the media, civil society organisations and the public to develop the interest and monitor revenue inflows in the oil and gas sector.